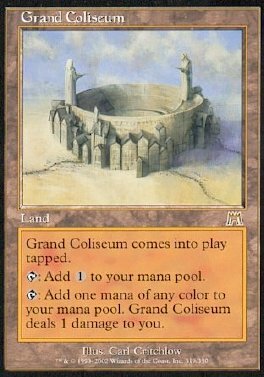 Grand Coliseum comes into play tapped. T Add 1 to your mana pool. T Add one mana of any color to your mana pool. Grand Coliseum deals 1 damage to you.